Front door of the Sewerage and Water Board building downtown. Keith Readling, executive vice president of Raftelis Financial Consultants, recommended the hefty increase in spending as a bare minimum to operate and maintain the drainage system during an S&WB Task Force meeting Wednesday. To properly keep New Orleans dry, the city and the Sewerage & Water Board need to spend at least $50 million more a year on the drainage system. That’s according to an expert consultant who helped establish more than 40 water utilities across the country. The boost in operation and maintenance spending for the city’s aging drainage system topped the list of suggestions that Readling brought to the task force, which is responsible for recommending if the S&WB should restructure in the face of ongoing problems, including recurring flooding and billing issues. Officials are well aware of budget shortfalls plaguing the utility, with cash reserves steadily dropping following an overhaul on emergency contracts after the Aug. 5, 2017 flooding and 2018 winter freezes. Still, Readling offered specifics on where funds need to be used to keep the system afloat. Although budget documents show the S&WB spent more than $270 million on operating expenses in 2017, Readling warned the utility needed millions more to operate and maintain the major pieces of the drainage system, such as SELA infrastructure, permanent pump stations, groundwater management and green infrastructure. These estimations were echoed from a “drainage fee feasibility” study Readling published in 2016 for the board, designed to determine if it was possible for the utility to add a flat fee for drainage to cover the proposed increase in maintenance expenses. The most notable financial disparity, however, was on the city’s side and the Department of Public Works. While creating the report in 2014, Readling found the city was spending less than a million dollars a year on maintaining and repairing the minor pieces of the drainage system. “That is just not even close to enough to clean out all that stuff and keep it cleaned out,” Readling said. He suggested that price tag should jump to $19 million annually to properly maintain and repair curbside outlets and pipes under 36 inches in diameter, for which the Department of Public Works is responsible. Observations presented to the task force also included the ongoing lack of “right hand to left hand coordination” in handling the shared obligations of the S&WB and DPW. It’s an issue Readling said needs to be addressed regardless of any change in management structure. 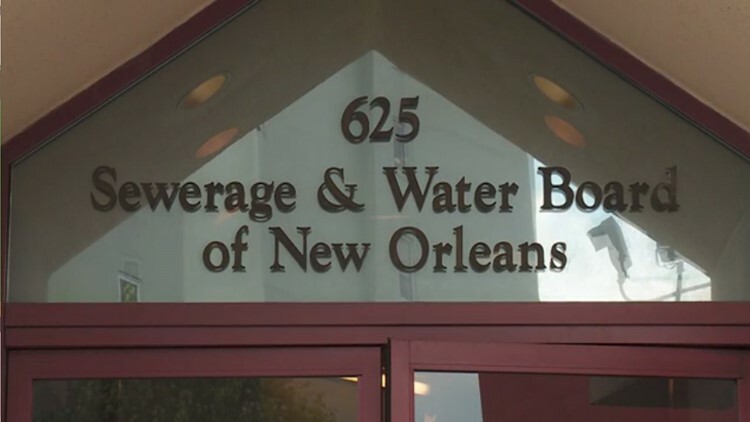 The S&WB’s failings in communicating with its customers are a familiar sight as well, Readling said. What is unique, Readling explained, is New Orleans’ predicament of fighting gravity to pump water out, a necessity that adds to the subsidence problem in the city and makes drainage even more difficult. The Task Force said it would take Readling’s observations into account when deciding what management changes, if any, the members might recommend in January. Councilmember Jay Banks, Vice Chair of the Task Force, also addressed what he called the 900-pound gorilla in the room. In the feasibility study, Readling divided the suggested $50 million increase in spending by the roughly 136,000 S&WB accounts to come up with an additional drainage fee of around $30 per account. That fee, however, would involve using more complicated millage rates based off property taxes. Readling was frank about the cost needed to get ahead of the curve in repairing the smaller, aging pipes and maintaining major new infrastructure pieces. “Your water management costs are going to be expensive here,” he said.